There was a time in the not too distant past (50’s, 60’s and 70’s) when the mention of a premarital or prenuptial agreement raised an eyebrow or two. It conjured up visions of celebrity marriages, May- December romances and sugar daddies (not the candy!). In today’s world the view of premarital agreements has changed greatly. Now it may be a very smart decision on the part of the parties about to embark on the path of wedded bliss. Many people are marrying later in life, or a second or third time and have accumulated significant assets that they want to protect in the unfortunate event the marriage does not work out as hoped. Premarital agreements have been around for thousands of years and appeared in one form or another in a variety of cultures. They were called marriage contracts and it is thought the first were made by the Egyptians. Fast forward a few thousand years and they have changed considerably. In Europe and England the concept of a dowry was the property a woman brought to the marriage, and the contracts helped preserve those property rights. In the United States until 1848, married women could not own land themselves except through the rights in a marriage contract. It wasn’t until a landmark case in 1970 that Florida courts began enforcing premarital agreements. The reasoning was that enforcing a contract that contemplates divorce encourages divorce, and ignores the legal obligation that marriage endures until the death of one party. It sounds antiquated now, but courts did not want to acknowledge or encourage the concept of divorce. What Is It? How Do They Work? A premarital or prenuptial agreement is a contract between the parties contemplating marriage which addresses the rights and obligations of the parties in the event of divorce or death. Generally, there are three purposes for a premarital agreement. The first is to provide for asset protection in the event of a divorce and the second is to provide for distribution of assets in the event of a death. The third purpose is to set out obligations of the parties during the marriage, such as who is responsible for what expenses, or how the taxes will be filed. The formalities of a premarital agreement are straightforward: it must be in writing, signed by both parties. There does not need to be any consideration for the contract other than the marriage itself. 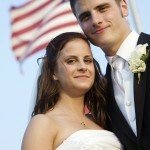 What Types of Things Can Be Covered In a Premarital Agreement? As you can see, there is a wide array of items that may be addressed in a premarital agreement. 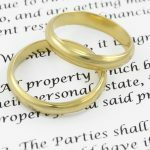 Often a premarital agreement delineates what property is being brought into the marriage, and is therefore non-marital property, and also defines how the property acquired during the marriage will be distributed upon death or divorce. A premarital agreement will NOT be enforced if the parties did not execute the agreement voluntarily. This means no coercion or duress to sign the agreement. You can’t wait until the eve of the wedding to have the other party look at it and sign it. No waiting until they are ready to walk down the aisle and waving the agreement at your future spouse saying, “Just one more thing honey.” If those are the circumstances, chances are the agreement will not be upheld because there appears to be duress or coercion. A premarital agreement will not be enforced if you did not accurately disclose your assets and financial obligations prior to signing the agreement. It will be deemed an unconscionable agreement, and therefore unenforceable. The reasoning is the other side must have a full and fair understanding of the rights they may be contracting away. A party CAN waive the right to spousal support in a premarital contract. They might also agree to reduced amounts of spousal support based on the years the marriage has lasted – this is quite common. However, if one party waives spousal support in the premarital contract, that clause will not be enforced if so doing then means the waiving spouse will have to go on public assistance. In other words, the contract can’t put the spouse in such dire financial straits that they are forced to turn to the state for financial help. This is against public policy, and such a term will not be upheld. Keep in mind that child support issues are NOT something that can be contracted around. If there is a child born of the marriage, there is a legal obligation to support that child, and any contract clause to the contrary will not be enforced. A really good idea, although not a statutory legal requirement, is to make sure both parties are represented by independent legal counsel to negotiate the premarital agreement. This is definitely an area where expert help is needed to protect both parties, and one attorney, paid for by one party only represents that party’s interest. It has been suggested in some situations that if the one party can’t afford an attorney to negotiate and review the premarital agreement, the wealthier party pay for one. This helps to ensure the agreement is not the result of fraud, duress or coercion and is not so one-sided that it is unconscionable and therefore unenforceable. Finally, the court has the discretion to determine whether the contract was unconscionable, so make sure the agreement meets the statutory requirements. Where Do I Get Help With This? 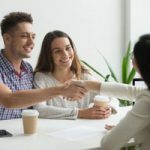 The best place to go with questions about or concerns with premarital agreements is to a dedicated family law attorney with experience in this area. They have the experience on both sides of the marriage – at the beginning and at the end – to know what a good premarital agreement is and does. They can help negotiate terms, ensure you are protected and anticipate problems. This is one area where you definitely do not want to try to go it alone – find a dedicated advocate for your rights. 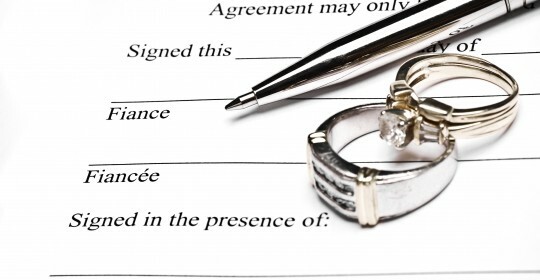 Why are Millennials Embracing Prenuptial Agreements? Can You Keep Your Kids in the United States?